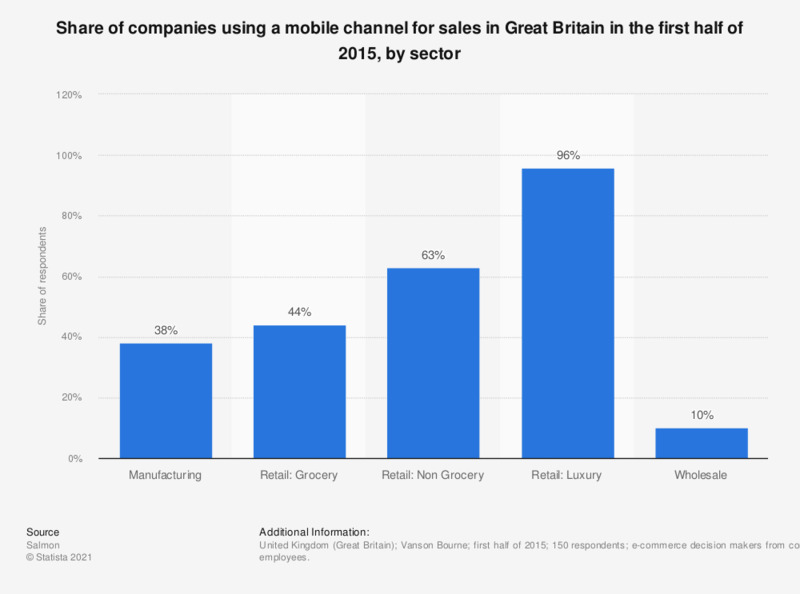 This statistic shows the results of a survey among e-commerce decision makers concerning the share of companies use of a mobile channel for sales in Great Britain in the first half of 2015, by sector. In the first half of 2015, 96 percent of respondents stated that their organizations in the luxury retail sector used a mobile channel for sales. e-commerce decision makers from companies with more than 500 employees.